Promotional products are one of the least expensive and most effective ways to drive sales. In fact, a recent study by the Advertising Specialty Institute found that 62% of people who had received an imprinted product did business with the advertiser who had given them the gift. You can use imprinted products in a variety of sales promotion techniques, even the virtual variety. For example, promotional products make the intangible tactic of online marketing via blogs and social networking sites more effective. Imprinted desktop products or computer accessories with your URL remind customers to go online to check out your newest products, services or events. Promise a discount or incentive merchandise for those who then purchase online or commit to an in-person sales presentation. You can also build excitement through experiential marketing. An ocean-side restaurant might take brand ambassadors out onto the beach during peak season to pass out food samples along with custom-printed can coolers stuffed with discount meal coupons. Or plan a how-to event to draw buyers into your business. A technology consultant, for example, can invite clients to a free systems management seminar. An auto dealer can offer a basic car care class. Send participants home with a tangible reminder of your company’s effort after any occasion. 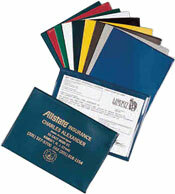 The mechanic, for example, could provide a logoed maintenance schedule or car insurance document holder. These useful gifts regularly bring customers back for services. A great way to keep retail customers focused on good deals is to provide an imprinted calendar with perforated coupons to be used each month. B2B marketers can just as easily leverage the power of loyalty programs by offering incentives for length of service contracts, packaged deals or rewards for purchasing specified amounts. The main message with all these methods of sales promotion is to engage your target audience and build trust and relationships. By doing so, you’ll be the lucky recipient of the dollars they spend on vital products and services without having to invest a lot yourself. To learn more, give us a call at 708-478-8222, send us an e-mail or visit us online at www.linjen.com.